If last week was dominated by offensive comments made by Ukip leader Nigel Farage regarding breast feeding women and the heavy traffic of the M4 being the fault of immigrants, then this week’s offering of offensive and regrettable comments is delivered by the Tory party. On the day an important report looking at ways to tackle food poverty in the UK was launched, a Tory peer who had been involved with the report was quoted as saying that the poor can’t cook. Baroness Jenkin was part of a panel that has written a report exploring ways address the problem of the number of Britons who are struggling to feed themselves. Yet this important reports launch was over shadowed by the Baroness’ remarks. It was a foolish thing to say and hurtful, especially to those who are struggling to feed themselves and their families each night. Indeed for some there might be a trade-off of paying your rent, keeping your house heated and warm or feeding yourself. That’s a really difficult decision some families have to make so comments like that are totally unacceptable, even if they were said off the cuff, it is revealing nevertheless. Meanwhile the London Mayor made some very peculiar remarks on LBC responding to a caller who asked him what he thought about Nigel Farage blaming the bad traffic jams on Britain’s motorways as being the fault of immigrants. Although Boris Johnson didn’t condone Farage’s remarks initially he went onto claim that xenophobia was natural. He said xenophobia was a “natural concomitant of the human condition” that came from a suspicion of “the other” and which must be dealt with in a systematic way rather than “freaking out about traffic jams”. Again, another unhelpful set of remarks made by a senior Tory figure. The time has come to revise what is becoming Labour’s conventional wisdom on UKIP, namely that UKIP is to be encouraged because they take Tory votes. David Cameron’s long awaited speech where he pledged that, if the Tories win an outright majority at the next election, there will be a referendum on a yet to be negotiated re-jigging of our relationship with EU, with rejection of the new deal by the British public resulting in our exit, seems to have calmed some of the problems with his party – for now. Ed Miliband did the right thing by saying that we would not support an in/out referendum, though a Labour government would retain the law meaning that any future EU treaty changes would be put to the British public for approval. The aforementioned conventional wisdom, I have to say, backed by recent polling data, says that even with a concerted effort on the part of UKIP against Labour, the Tories will still have more to fear than we do. On a constituency by constituency basis, the Tories lose seats to us, or fail to gain seats from us and the Lib-Dems, by margins that can be almost solely attribute to an ascendant UKIP. Current trends suggest that UKIP won’t win any seats, but will do enough in the popular vote to cost the Conservatives. But there is still no room for complacency, polls can change rapidly and there are still two years to go. For all its vagueness, Cameron’s speech has meant that the Tories have gained some ground on the issue of Europe. Farage is, I think, recognising that UKIP may find they have less and less to use against the Tories. We could, therefore, see a drift towards either an official, semi-acknowledged, or completely unofficial electoral pact between the Conservatives and UKIP come the next election. This would mean UKIP leaving Tory areas and gunning for us. The best way to combat this is to start tackling the Tories and UKIP on Europe now. Ed Miliband was right to shun the idea of an in/out referendum, but now our party needs to start talking about why Ed is right, and how much damage Cameron’s proposal, even if it never comes to fruition, could do. Let’s not wait for a referendum to start talking about why the UK needs to stay in the EU, let’s do it now and show UKIP and the Tories how wrong they are. In 2009 prima donna President Vaclav Klaus of the Czech Republic founded the Czech Civic Democratic Party (Obcanska demokraticka strana, abbreviated to ODS), which vies for the title of the most right-wing political party in the Czech Republic. The ODS, you may be aware, is one of the parties which make up the Tory group in the European Parliament, the European Conservatives and Reformists. Again we see the Tories true colours in the people they choose to work with. Most of us would, I think, agree that Vaclav Klaus is a most unpleasant man. According to the weighty press coverage he has received over the past couple of weeks he is revelling in every minute of his show stopping performance on the Lisbon Treaty. Acting like some tin pot dictator, he is going against the wishes of the two houses of parliament in the country of which he is President and the constitutional court there, not to mention the other 26 EU countries which have ratified the Lisbon Treaty. President Klaus is also, according to today’s Guardian, a womaniser who despises feminists and mocks environmentalists. He is also a climate change denier. Quite a dossier! We are now seeing what David Cameron is really about. Top left: LDD candidate Patrick Ghys, 8th candidate for the region Antwerp (regional elections coinciding with the European elections) pictured in a racist election poster from a previous election; Top Right: JP Floru; Bottom: JM Dedecker. Jean-Marie Dedecker is the founder of the LDD party. Dedecker opposes the “cordon sanitaire” of the mainstream parties impose on fascist Belgian parties by refusing to enter into coalitions with such extremists. In early 2007 Dedecker arranged for part of the party VLOTT, cartel partner of “Flemish Interest” (the Belgian equivalent of the BNP) to join his party. To emphasise the racist nature of thses people, I’ve put up a picture of a vile racist Gorilla poster that was used by one of these LDD candidates in a previous election. But the Gorrilla election poster is not just an isolated example. I’ve been presented with evidence stretching back years that the LDD and its members are racists. The LDD has refused to denounce racist comments about Muslims made in on Belgian TV and has high ranking politicians who have participated in racist, inflammatory marches through the streets of Brussels. In addition, Jurgen Verstrepen, a prominent politician in LDD has also confessed in a published book that he was present at political meetings (presumably with members who joined post-2007) where Nazi-songs, such as the party hymn of Hitler’s NSDAP, were sung. I am truly shocked and horrified at what I have uncovered here. It has made me feel sick that this vile racism is still being touted around. Floru needs to clarify the extent of his involvement with the LDD, its leaders, supporters and allied organisatons. He needs to explain why he spoke admiringly of a racist party and its leader. Its the least the people of London deserve come June 4th. I spent most of this morning in Industry Committee where MEPs were voting on several key pieces of environmental legislation. The reports were on extending the European emissions trading system (known as ETS); on carbon capture and storage (CCS); and on renewable energy. As the Industry Committee is one of the big legislative committees, I normally get a huge amount of lobbying on most reports – but never more so than on environmental issues. The votes went well and there was pretty good agreement between many of the political groups. The committee supported keeping the 20% target for renewable energy by 2020 and also adopted strict sustainability criteria for the use of biofuels. The Socialists, Liberals and Greens also won a review clause on the use of renewables – this means an assessment of the impacts of renewable transport fuels on food and feed production before 2014. The British Tories frequently talk about renegotiating the UK’s membership of the European Union, indeed many Tory MEPs think we should pull out of the EU altogether. If the Tories think we can tackle climate change without any cooperation at EU level, they must be living on another planet. Indeed, this is one of the reasons why the Swedish green party are becoming more pro-European. These are big, heavyweight reports that will have a real impact on the energy sector and on helping Europe meet its targets towards cutting CO2 emissions. You just have to look at the number of lobbyists and NGOs packing the committee room to see that the decisions MEPs take have a real impact on environmental legislation. If there was nothing at stake, the lobbyists wouldn’t be interested. These reports have now passed through the committee stage. There will soon be further negotiations between Parliament and the European Commission and Council before a final vote is taken at a full sitting of the Parliament. Don’t expect the lobbyists to go away any time soon! In June, the Liberal Democrats and Tories joined forces in support of an unbelievably unjust report “on common standards and procedures for the return of third country nationals residing illegally”. European Labour MEPs, tried to amend the report to prevent unaccompanied children from being deported, unless their family or guardian was able to look after them when they were returned to their home country. There were obviously concerns that if unaccompanied minors were deported, alone, without any supervision, they could fall victim to paedophiles or child slavery or any of the other myriad of dangers that we know could occur. Almost all Tory and Lib Dem MEPs voted against this specific amendment. The UK opts out of EU wide immigration legislation preferring to create its own national legislation. Here at the European Parliament, protocol dictates that when a report does not affect their country MEPs can vote on individual amendments but should abstain from voting on the whole report, passing it into legislation. That was exactly what both Labour and Tory MEPs did. Lib Dem MEPs, however, threw protocol to the wind and voted in favour of the whole report. They backed a raft of draconian measures, including deporting children, with little concern for their welfare after they had been deported. As I have said before, with such a hard-right agenda it is difficult to see where the word ‘liberal’ fits into Liberal Democrat. Mind you, when Lib Dems vote for directives such as this one it’s hard to see them as true ‘democrats’ either. At the Women’s Rights and Gender Equality Committee here at the parliament the other day we were discussing the 2008 report on ‘Equal Opportunities for men and women’. Many of my colleagues on the committee expressed their absolute frustration that for yet another year the pay gap between men and women has remained infuriatingly static. Our work trying to give equal opportunities and equal outcomes to every member of society is certainly an uphill struggle. 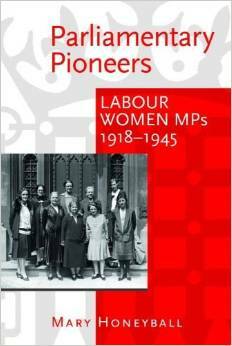 Back from committee this led me to think that it is 80 years since women won the right to the vote in the UK and with that the right to a political life. But women are still denied the top jobs. In Europe, as I have blogged recently, the senior jobs are consistently awarded to men and that trend looks set to continue into the next term. In the UK our Tory colleagues have only paid lip-service to the promotion of women: in the absence of both Gordon Brown and David Cameron at Prime Minister’s Question Time in April Harriet Harman, as deputy leader stood in for Gordon Brown but on the Tory side David Cameron was replaced, not by his deputy leader Theresa May, but by William Hague with May demurely seated behind. As Harman rightly pointed out, this looked like women should be seen but not heard on the Tory side. It is 40 years since the Equal Pay act meant that women and men should be paid an equal salary for equal work. However, the pay gap in the UK is still alarming. In full-time work women get paid 17% less than men and in part-time a shocking 38% less. The UK’s pay gap is fairly much in line with the pay gap between the sexes that is felt right across the EU. It is 20 years since the first black female MP, Diane Abbott entered the House of Commons. To date there have only been three black, female MPs sitting in the Commons. Dawn Butler, MP for Brent South, has experienced racist and sexist attitudes within the Commons itself. One such incident the Tory (it’s always them isn’t it?) MP David Heathcote-Amory questioned why Butler was on the members’ section of the terrace asking if she was an MP. When she replied that she was he said “they’re letting anybody in nowadays”. He later denied that his comments were racially motivated but it is hard to see how they could be interpreted otherwise. In the European Parliament there are only four non-white female MEPs out of a total of 785. 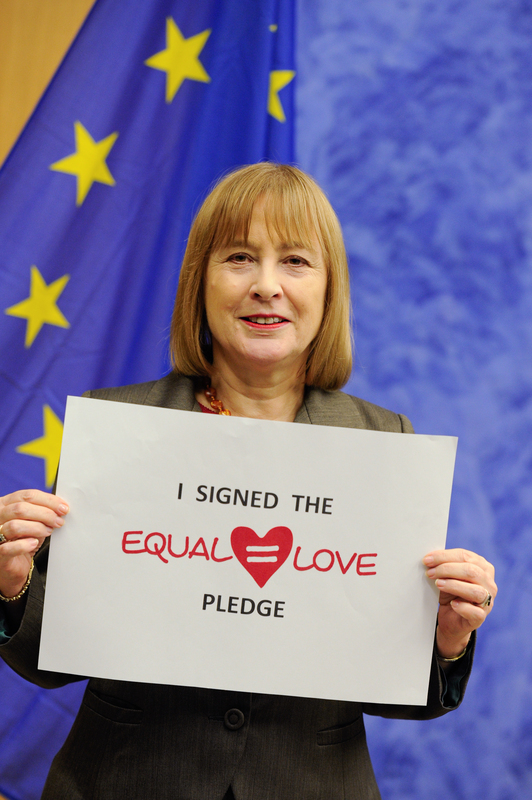 So it is obviously with pleasure that I welcome Harriet Harman’s Equalities Bill. This legislation is not the beginning of this is issue in the UK, and it is certainly not the end, but another step in an 80 year old journey that will hopefully lead us to a truly equal society. In the UK we serve as a ‘best practice’ example to our European colleagues on a number of issues my hope is that in the future we will lead the way on equality as well.